This color group reminds me of the forest. Raintree jasper is quite an amazing stone, part of the ryolite family. Not two stones are quite alike. When choosing this gemstone, I look for specimens with full fall colors and interesting patterns. Some have a touch of transluscent agate. Lime serpentine is often called lime jade, though it is not a jade. 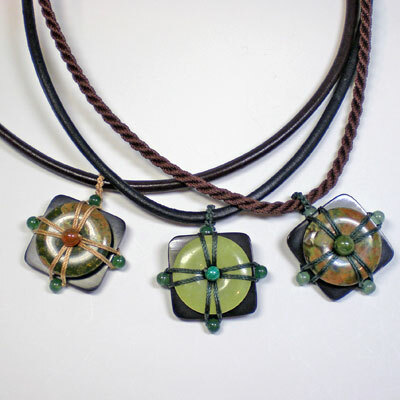 I love the color, it is so fresh and alive and makes a great addition worn around the neck!